Ralph "Buddy" Ervin Whitley, Jr.
Obituary of Ralph Ervin Whitley, Jr.
Ralph (Buddy) Ervin Whitley Jr. passed away on March 18, 2019 at the Delaware Hospice Center in Milford surrounded by his very dedicated and loving family. He was 64 years old. Buddy was born on March 15, 1955, to the late Ralph E. Whitley Sr. and Patricia Nickerson Whitley Brock in Everett, Washington. He married the love of his life, Helen Ann Berner in 1971 and together they raised four sons. He served as a Maintenance Manager, working for several poultry plants and even developed standards and systems that are still in place today. He was a dedicated family man and particularly adored his children, grandchildren and great-grandchild. He was looked upon as a “father figure” to many and was the Patriarch of the family. He organized amazing Easter Egg hunts for family and friends and even created the Infamous “Golden Egg” Contest for the adults in the family. Buddy loved singing and playing his guitar at family gatherings and not only enjoyed golf, pool and horseshoes too but was a very capable carpenter and artisan at home. He was a confident, smart and outgoing person well liked in the business world. Buddy always carried an air of authority yet was a “big softie” at heart when it came to children in the family. He is survived by his wife: Helen and his children: Ralph E. Whitley III (Jenny Reid); A.J. Whitley (Kristen); Stephen Whitley (Marti); and Everett Whitley as well as his grandchildren: Ralph (Rocky) Whitley; Stephanie Whitley; Danny Fague; Gavin Whitley; Mila Whitley, Kara (Rick) Kansler, and Jayna Dunnigan, as well as four great-grandchildren: Rilynn Witz, Ricky Kansler, Cove Kansler and Natalie Kansler.. 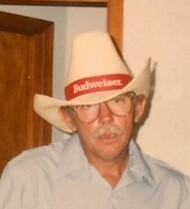 Buddy also leaves behind his sister: Michelle Morgan, of Coer d’Alene, Idaho, brother & sister-in-laws: Richard and Brenda Presley; James and Diane Coverdale; Robert and Barbara Wacom; Teresa Berner; Robert and Melissa Berner and his step father: Ronald Brock and many many nieces, nephews and friends. In addition to his parents, Buddy was preceded by his siblings: Patricia Hudson; Ronald Whitley; Candy Gudzelak; Cathy Webb, brother and sister-in-laws: Shane and Jeanie Mitchell; Tommy Toy; Walter (Bub) Marciano and niece: Jacklyn Smith (Berner). A Memorial and Celebration of His Life will be held on Saturday, March 30, 2019 at the Watson Funeral Home, 211 S. Washington St., Millsboro, DE. A calling hour will be from 1:00 till 2:00 and at 2:00 PM friends will share memories of Buddy. Interment and disposition arrangements are private. In lieu of flowers, the family suggests memorial contributions to Delaware Hospice, 100 Patriot Way, Milford, DE 19963.